News TV Channel / India TV is a Hindi news channel based in Noida, Uttar Pradesh, India. 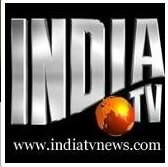 The channel was launched on 20 May 2004 by Rajat Sharma and wife Ritu Dhawan. The channel is the flagship service of Independent News Service, which was co-founded by Sharma and Dhawan in 1997. In 1997, Rajat Sharma and Ritu Dhawan set up their own production house – Independent News Service (INS), the parent company which owns India TV. He co-founded India TV with his wife in April, 2004 from a studio in Film City, Noida, then considered one of Asia’s largest news TV studios.